A swimming pool in the backyard is probably one of the most desirable features you could have. Proud pool owners everywhere claim it gives them instant relaxation after a stressful day at work, as well serving as a fantastic setting for outdoor parties and entertaining family and friends. However, bear in mind that swimming pools are a luxurious feature and demand regular maintenance in order to stay efficient and look good. Sooner or later, some renovation work is necessary to keep the pool not just updated and attractive, but safe and functional as well. If you’re feeling a bit dissatisfied with your pool, but looking to save a buck with its renovation, here are some budget-friendly options. 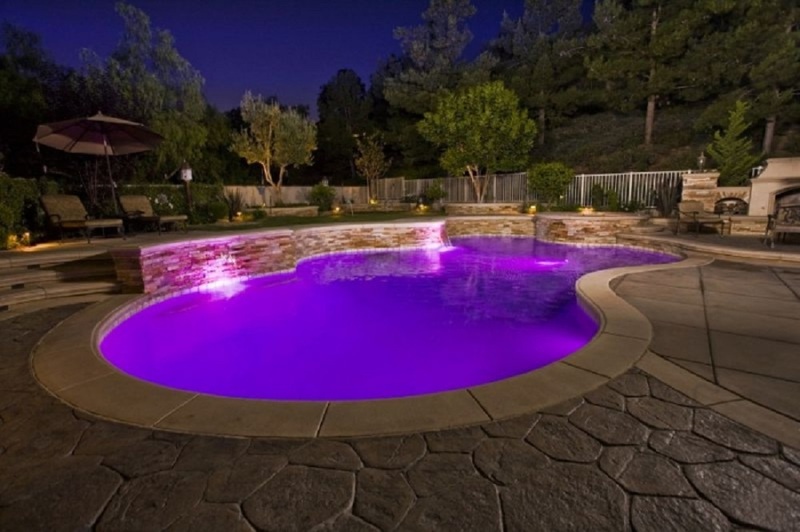 In addition to your basic pool lighting, incorporating LED lights will noticeably improve the look of your pool. Primarily, LED lights are more energy-efficient than traditional type of lighting, so in the long run, it will pay for its higher initial coast. They are also the quickest way to transform any ordinary and dull looking pool into a luxurious and glamorous oasis. They come in different colours and can be installed below the water line in any part of the pool, so you can create any effect you desire. Adding a water feature may not be the cheapest remodelling option, but they do make a striking difference and are quite easy to do even as a DIY project. 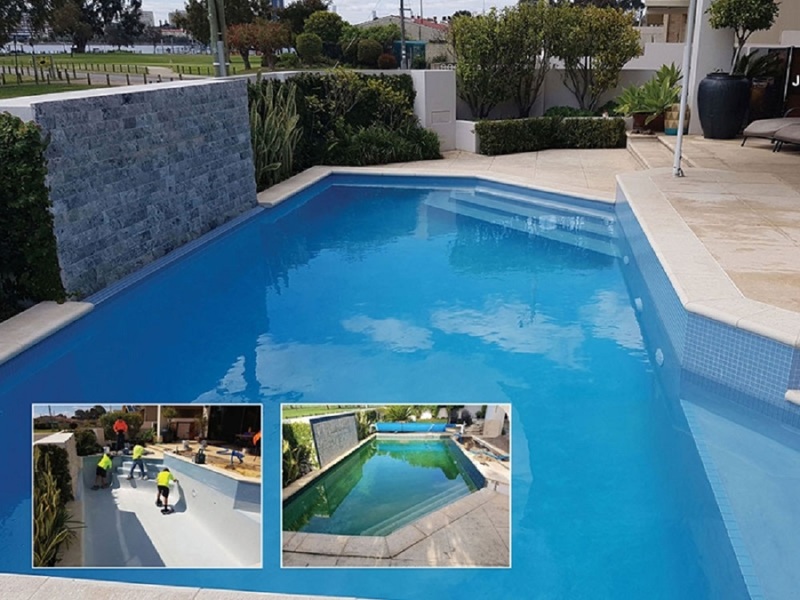 Features such as sprayers, scuppers or waterfalls are among the most popular choices and are easily incorporated into almost every pool design and style. Resurfacing your pool is by no means a costly endeavour, but it’s a sure way to give your pool a more modern, fresh and updated look. 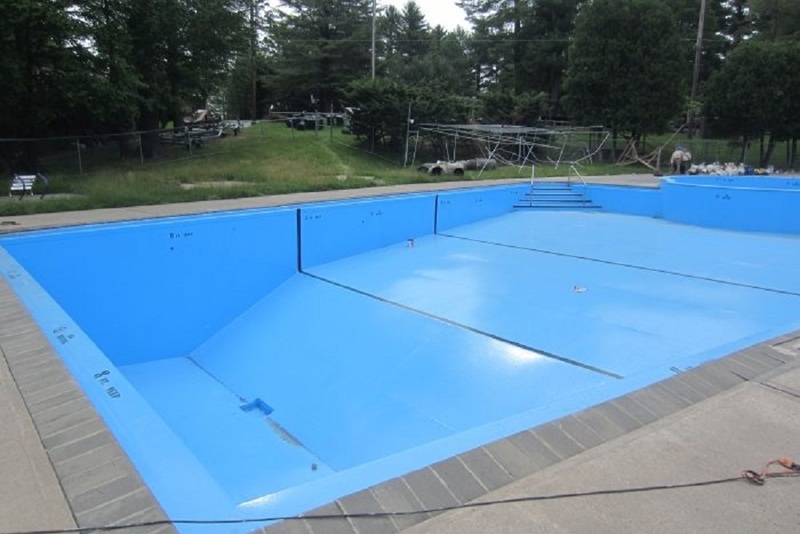 If the surface paint is chipped, worn out or damaged, the pool will appear not only outdated, but unmaintained and unappealing as well. By applying a fresh coat of durable premium pool paint you’ll instantly improve its look, safety and add value to the property. One of the most visually striking and inexpensive updates is retiling the waterline. It can dramatically change the look of your pool and the choice is entirely up to you and your preferences. The hottest trend now is using glass tiles, mosaic or stone, if you’re looking to create a natural and earthy look. A new waterline tile doesn’t only enhance the pool’s look, but it makes maintenance easier and the pool itself more durable. 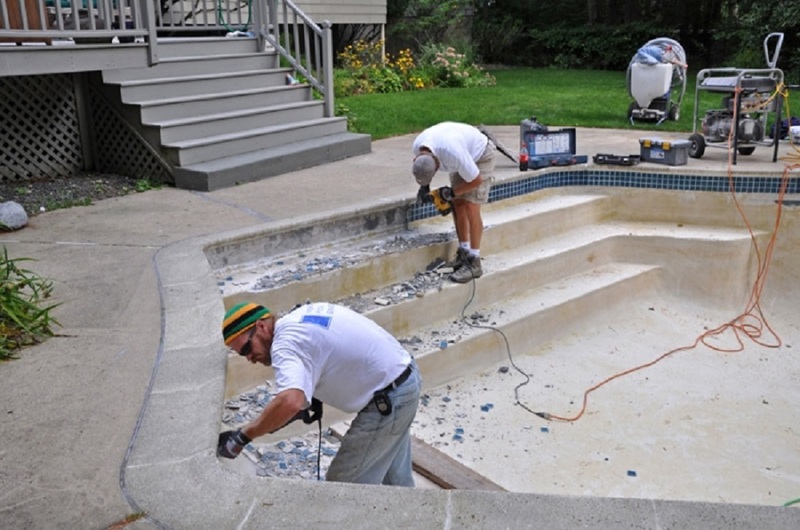 One of the biggest trends lately in pool renovations is moving towards salt water systems. They step away from the traditional methods and use salt to create chlorine in the water. As most people claim, the biggest benefits of this is that salt water in the pools is much easier on the eyes and skin. Another advantage is that you don’t have to buy or store chlorine supplies anymore and overall maintenance costs prove to be cheaper in the end. If you’re always on the lookout for the most practical solutions, go for the energy-efficient equipment that will have your pool running on lower costs. The main piece to consider is a variable-speed pool pump because it uses less electricity and is much quieter. With its energy-saving qualities, it will pay for itself within one to three years. Another piece of high-tech, energy-savvy equipment that you can use is an automatic leveller that controls water levels and compensates precisely for the loss due to evaporation. With these ideas, a modest budget and some imagination on your part, you can have an updated, attractive and inviting swimming pool that will have everyone asking you for the renovation advice.